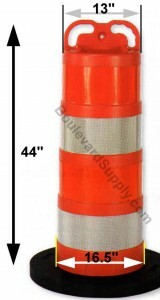 Boulevard Supply is a supplier of orange traffic barrels for channelizing traffic in road construction zones. 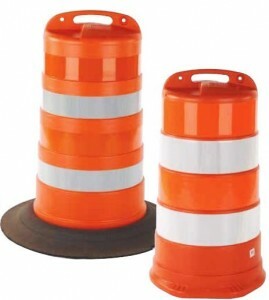 Orange barrels are also referred to as traffic drums. 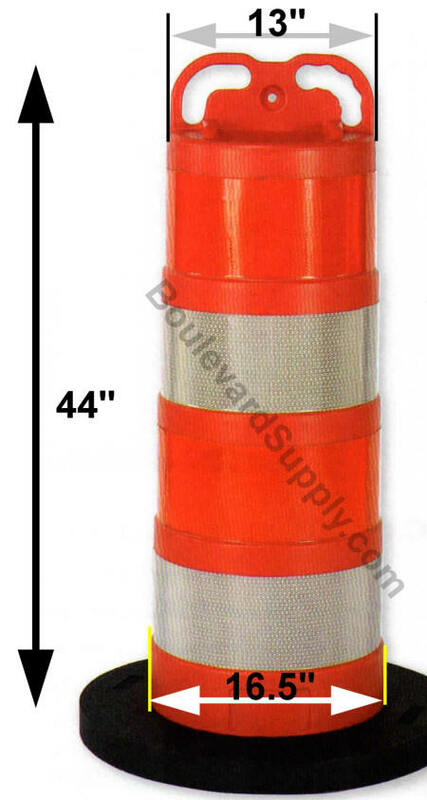 There are a variety of choices between plain orange barrels, barrels with engineer grade reflective stripes, orange barrels with Hi-Intensity (HIP) grade reflective stripes, diamond grade sheeting and also 4″ and 6″ reflective tape. Then you have your choice of orange traffic barrel base weights that include 25 lb and 30 lb tire rings or snap on bases. We offer the Trailboss Channelizer Drum from Cortina which are made in the USA. Pricing is for traffic barrel only. Bases and flashers are sold separately. 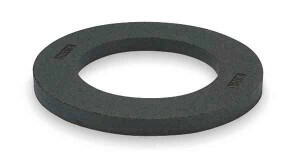 Choose between tire rings or snap on bases. LDPE Barrel with 4″ Orange, White, Orange White Reflective Stripes. See barrel at top of page with tire ring. LDPE Barrel with 6″ Orange, White, Orange White Reflective Stripes. See barrel at top of page without tire ring. We also offer the EZ Grab Wide Body Delineator from Cortina which are also made in the USA. Pricing is for barrel only. Bases and flashers are sold separately. EZ Grab Wide Body Delineator from Cortina with 4″ Orange, White, Orange White Reflective Stripes. EZ Grab Wide Body Delineator barrel from Cortina with 6″ Orange, White, Orange White Reflective Stripes.